When we think of food, we think of its origin and final destination. Rarely do we think of the middle factor: the manufacturing process. Pretty much all food and drink we consume in Canada has been processed in some way. Processing occurs with numerous products, including: fresh produce, dairy products, meats, seafood, breads, pastas, beverages, and simple ingredients such as flour and sugar. Our largest subsector is meat, manufacturing 26% of all shipments in 2011 with most production coming from Ontario, Manitoba, Alberta, British Columbia and Quebec. Canada has 6,500 food and beverage processing establishments, with more launching every day. Some of the top players include Kellogg’s, Quaker, Nestle, Pepsico, Molson, McCain, Maple Leaf, Saputo, Lassonde, and many more. How is this industry significant to Canada? The largest manufacturing industry in Canada, food and beverage contributes $103.4 billion in shipping product each year, and 2% of National Gross Domestic Product (GDP). 75% of Canada’s food is supplied by the 6,500 food processing establishments across the country, as well as another 25% being exported internationally. What kind of jobs are there in food processing? Right now, 246,000 Canadians are employed in food and manufacturing positions all across the country. Quality Control, Machine Operators, Sales and Marketing, Engineers, HACCP Professionals, Shippers/Receivers, Chemical Engineers, and many more workers are processing your food and ensuring its safety. The industry is also a top choice for immigrant workers. In the next 3 years, 23,000 workers will be needed in General Labour, Skills Workers and Operations, and Post-Secondary Professional positions. If you have experience in Equipment and Machine Operation, Food Safety, Health and Safety Training, or Problem Solving, get in touch with us for more information on joining this diverse industry. 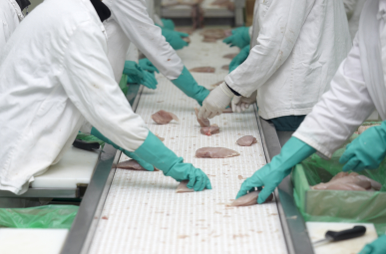 The Animal Food Manufacturing Sector is comprised of smaller establishments, generally providing more job stability with a concentration of full-time permanent staff. This industry is comprised of establishments primarily engaged in wet-milling corn and vegetables; crushing oilseeds and tree nuts, and extracting oils; or processing or blending purchased fats and oils. This industry is comprised of establishments primarily engaged in manufacturing breakfast cereal foods. Canada is a world leader in exporting grain and oilseed-based products. “Canada offers access to an abundant supply of different grain and oilseed commodities” (DFAIT, 2009), which has made grain and oilseed milling one of the most significant food processing subsectors. This industry is comprised of establishments primarily engaged in manufacturing raw sugar, sugar syrup and refined sugar from sugar cane, raw cane sugar or sugar beets. This industry is comprised of establishments primarily engaged in shelling, roasting and grinding cacao beans into chocolate cacao products and chocolate confectionery. This industry is comprised of establishments primarily engaged in manufacturing chocolate confectionery from purchased chocolate. This industry is comprised of establishments primarily engaged in manufacturing non-chocolate confectionery. Sugar-free confectionery is the fastest growing segment as healthy eating becomes a larger trend across Canada. This industry is comprised of establishments primarily engaged in manufacturing frozen fruit and vegetables, except seafood. Included are establishments primarily engaged in manufacturing frozen dinners and side dishes containing several ingredients. This industry is comprised of establishments primarily engaged in preserving fruit and vegetables by canning, pickling, brining and dehydrating (including freeze-drying). Canning uses heat sterilization; pickling uses vinegar solutions and brining uses salt solutions. Establishments primarily engaged in manufacturing mixtures of dried ingredients, such as soup mixes and salad dressing mixes, are included provided they dehydrate at least one of the ingredients. This industry comprises establishments primarily engaged in manufacturing dairy products, with the exception of frozen dessert products. Included are establishments primarily engaged in manufacturing substitute products. This industry comprises establishments primarily engaged in manufacturing ice cream and other frozen desserts. There are a wide range of activities that are classified under this subsector, examples of these activities include: custards, frozen desserts, ice cream, popsicles, ice milk, sherbets, tofu frozen desserts, etc. Canada is home to a thriving dairy processing industry, world-renowned for its high quality product excellence and strict standard enforcement. Sales within the Canadian dairy industry are estimated at $13.1 billion in 2008. This sector is comprised of establishments primarily engaged in manufacturing meat products, including beef, pork, lamb, venison, bison, goat and rabbit. Ontario, Quebec and Alberta are home to 72% of all meat product manufacturing facilities within Canada. Major players in this sector are Olymel, Maple Leaf Foods, Les Viandes du Breton and Maple Lodge Farms. There are approximately 900 meat processing facilities in Canada, employing 65,000 workers. In recent years, the consumption and preference of meat products in Canada has altered. Canadian consumers have been adopting healthier eating habits, seeking meat products with lower fat content, such as turkey and chicken. This sector is comprised of groups of establishments primarily engaged in the canning of seafood, including soup; smoking, salting and drying seafood; preparing fresh fish by removing heads, fins, scales, bones and entrails; shucking and packing fresh shellfish; processing marine fats and oils; and freezing seafood. Establishments known as “floating factory ships”, that are engaged in shipboard processing of seafood, are included. Canada’s wide variety of harvested seafood comes from many parts of the country. Atlantic Canada and Quebec’s commercial fishing landings were valued at $2.0 billion. Canada’s favourite seafood includes lobster, snow crab, shrimp, scallops, and Greenland turbot. Seafood establishments are primarily located on the coasts of Canada; namely Nova Scotia, New Brunswick, British Columbia and Newfoundland and Labrador. 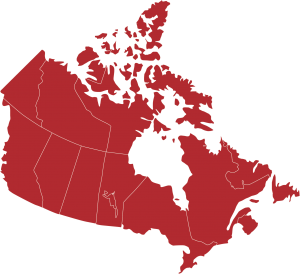 Notably, this is the only sector that has a dominant presence in the Atlantic provinces. This industry is comprised of establishments primarily engaged in manufacturing bakery products. Included are establishments primarily engaged in selling to commercial or retail customers, for off-premises consumption. This industry is comprised of establishments primarily engaged in manufacturing cookies and crackers; preparing flour mixes and dough from purchased flour; and manufacturing dry pasta. This industry comprises establishments primarily engaged in manufacturing tortillas. Studies have also shown a growing consumption of tortillas as a replacement for traditional bread products. The continuous growth of this product can be attributed to the consumer’s perception of tortillas as they are a relatively new products which contains less fat than bread, keeps longer and can be used to prepare new meals (e.g. : wraps, tacos, fajitas, etc.). This subsector is comprised of establishments primarily engaged in manufacturing soft drinks, ice or bottled water; including naturally carbonated water. Establishments which are involved in the creation of bottled water, purify the water before bottling it. This subsector is comprised of establishments primarily engaged in brewing beer, ale, malt liquors and non-alcoholic beer. This subsector is comprised of establishments primarily engaged in manufacturing wine and brandy made from grapes or other fruit. Included are establishments primarily engaged in growing grapes and manufacturing wine; manufacturing wine from purchased grapes and other fruit; blending wines; or distilling brandy. This subsector is comprised of establishments primarily engaged in distilling liquor, except brandy; blending liquor; or blending and mixing liquor and other ingredients.